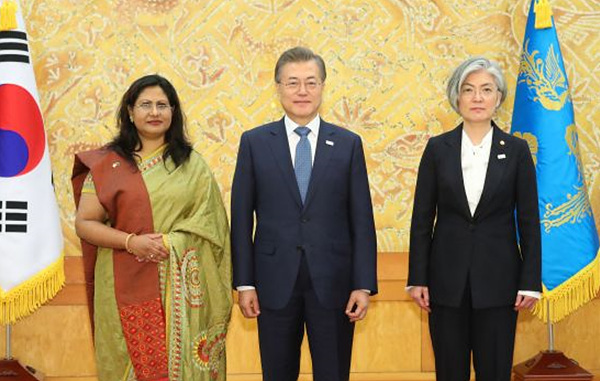 President Moon Jae-in (center) poses with Ambassador Abida Islam of Bangladesh (left) and Foreign Minister Kang Kyung-wha at the Presidential Mansion of Cheongwadae in Seoul. The Republic of Korea (south) has been, and continues to be a very good friend and development partner of Bangladesh for a long time, and she has extended significant cooperation and support to Bangladesh since the early 1970s. President Moon Jae-in (right) shakes hands with Ambassador Islam of Bangladesh at Cheongwadae. So stated Ambassador Madam Abida Islam of Bangladesh in Seoul at an extensive, exclusive interview with The Korea Post media in Seoul on March 20, 2019 for publication by all the five media outlets of The Korea Post, 3 in English and 2 in the Korean language. Prime Minister Sheikh Hasina of Bangladesh. Bangladesh economy is becoming gradually more integrated with South Korea's. Bangladesh-South Korea bilateral trade reached $1.5 billion in 2017-18. From a meagre $22.86 million in 2005, exports to South Korea were worth $254.84 million in 2017-18. Imports also increased considerably by the same period. In the year 2018-19 from July – December exports to South Korea stand at 196.93 million USD. The balance of trade volume is heavily inclined towards Korea mostly due to import of industrial components and raw materials. 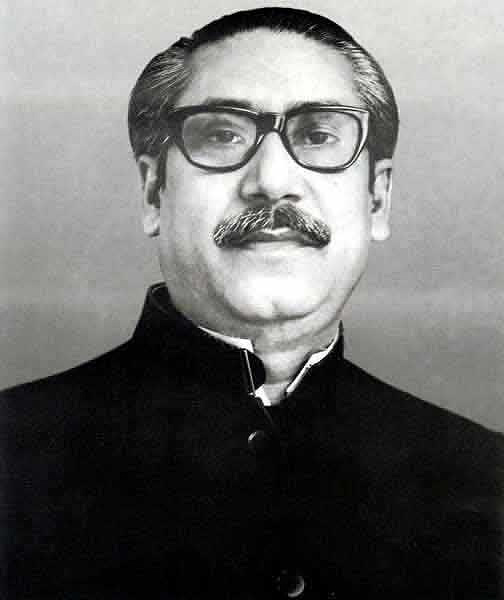 The Father of National of Bangladesh, former Prime Minister Sheikh Mujibur Rahman. Bangladesh main exported items to Korea in 2017-18 were i) Special woven or tufted fabric, lace, tapestry etc. ii) Carpets and other textile floor coverings iii) Knitted or crocheted fabric iv) Plastics and articles v) Impregnated, coated or laminated textile fabric vi) Manufactures of plaiting material, basketwork, etc vii) Rubber and articles thereof; viii) Bird skin, feathers, artificial flowers, human hair, ix) Aluminum and articles thereof; x)Fish, crustaceans, molluscs, aquatic invertebrates. Ambassador Abida Islam of Bangladesh (left) is interviewed by Publisher-Chairman Lee Kyung-sik of The Korea Post media. Bangladesh imported items from Korea are: i) Iron and steel, ii) Plastics and articles thereof, iii) Machinery, mechanical appliances, nuclear, iv) reactors, boilers; parts thereof v) Paper and paperboard; articles of paper, vi) pulp, of paper or of paperboard, vii) Tanning or dyeing extracts; tannins and their derivatives; dyes, etc, viii) Vehicles other than railway or tramway rolling stock, and Parts and accessories thereof ix) Man-made filaments; strip and the like of man-made textile materials, x) Zinc and articles thereof. Sea beach in Kuakata: It is located in the southeastern part of Bangladesh which is 18 kilometers (11 miles) long.. 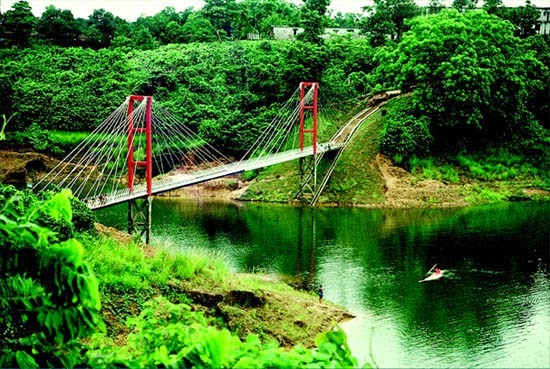 It is a rare beauty spot at the southernmost tip of Patuakhali district. It has a wide sandy beach which affords one the unique opportunity of watching both the sunrise and the sunset. Kuakata is a place of pilgrimage for the Hindu and Buddhist Communities. Many devotees arrive here during the festival of Rush Purnima and Maghi Purnima. 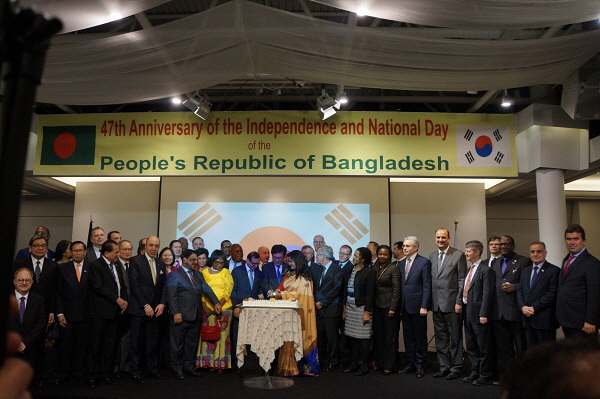 Ambassador Abida Islam of Bangladesh (in orange behind the table) cuts a celebration cake with a Korean government representative and other guests (mostly ambassadors) to mark Bangladesh’s 47th Independence and National Day. Bangladesh witnessed significant flow of FDI, both 100% and joint venture, which are highly employment intensive in nature. Korea is a pioneer country to invest in Bangladesh and 3rd in position in providing FDI to Bangladesh. Korean FDI in Bangladesh continues to increase moderately; gross inflow peaking up to US$1157.06 million during the FY 2017-18. Sector-wise break-down of Korean investment in Bangladesh is as follows: Textile US$963.63, Banking US$75.79 million, Leather US$63.79 million and others US$55.99million. It was worth mentioning that Korean Tech giant Samsung has started manufacture its products in Bangladesh under a joint venture company and LG would also go for joint venture within a short time. Fish & Aquaculture: According to the report published in 2018 by the State of Fish and Aquaculture of Food and Agriculture Organization of the United Nations, Bangladesh ranks third in the world in producing fish from natural resources. Korea was the first investor to set up exclusive foreign Export processing zone KEPZ. More than 200 Korean businesses invested in garment and other businesses. Since Bangladesh government is presently implementing setting up of 100 Special Economic Zones in Bangladesh, Korean investors set up production units in the SEZs, they will get all the facilities from the government and at the same time they will get duty free market access of their products in the global market under the WTO rules. Korean investors are showing interest to investment in the construction, IT, Medical equipment sectors. We are pursuing that Korean Investors may come forward to invest in Telecommunication, ICT, Power, Road infrastructure and Heavy industries. 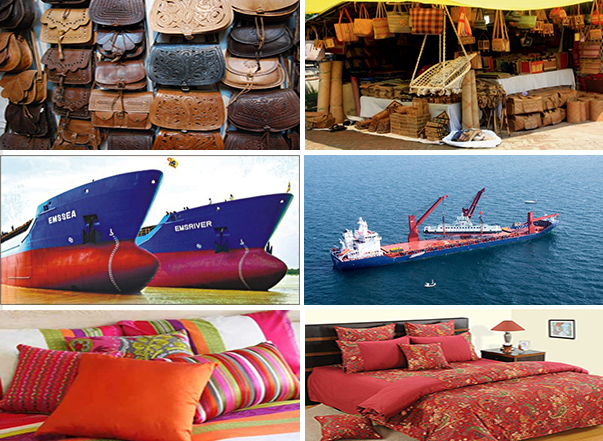 The new areas of investment include jute and leather. 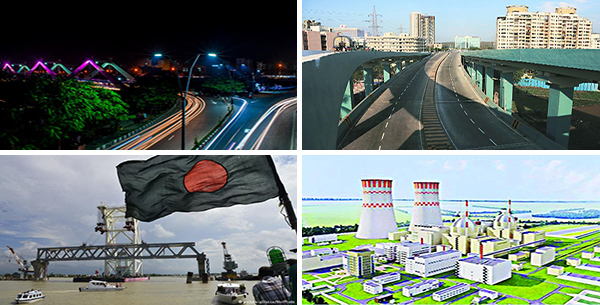 Foreign Direct Investment (FDI): Bangladesh is being considered as the most liberal and business friendly economy in this region. It is an attractive destination for business and investment. Its investment climate offer generous and attractive packages of incentives to investors. Bangladesh has a large vibrant young working force with flexibility to match in job demands. New opportunities for Foreign Direct Investment (FDI) in the traditional and emerging sectors. The fiscal, investment, monetary and other sectoral policies of the government are supportive of private sector growth on scales not known before. approximately. It makes Bangladesh the top 2nd recipient of Korean soft loan among the EDCF partner countries. Focus sectors of Korean soft loan for Bangladesh have been Water Resources, Electricity, Health, Education, Public Administration, and ICT. b. Korea International Cooperation Agency (KOICA): KOICA continues to extend its grants for aid programmes in Bangladesh with gradual enhancement. So far KOICA has provided assistance equivalent to 57.07 million USD from 1994 till 2017 for implementing different projects and programs. At present KOICA is providing 54.59 million USD as a grant for implementing 08 projects in Bangladesh in the Health, Education and ICT sectors. Since July 2008, Korea started employing unskilled workers from Bangladesh along with 15 other countries under Employment Permit System (EPS). Under EPS system at present almost 10000 Bangladesh workers are working in Korea. They are employed in the Small and Medium Enterprises of Republic of Korea and sending a good amount of remittances. Not only that, some of them are changing their visa category and staying as permanent resident in Republic of Korea. Many of them unauthorized also. The Korean Government provides different skill development training which are free of cost. These trainings are provided through the support Centers and Poly Technique Institutions on weekend. Under EPS an unskilled worker come to Korea for 4 years and 10 months. After successful completion of this tenure, he/she can go back to Bangladesh for three months and then come back again here for another 4 years and 10 months. A worker gets this opportunity only if he/she does not change workplace. Under this system the employer bears his/her expenses like food, lodging, medical treatments etc. The Embassy of Bangladesh in Seoul is working hard to sensitize the Bangladeshi EPS workers to send money through legal channel, to be respectful to Korean law and culture. The Embassy is also working on conflict resolution between the workers and their employers. Sending the mortal remains of deceased workers is a sensitive issue for the Embassy. The Embassy does not have enough budgetary allocation in this regard. Question: My hearty congratulations on the National Day of Bangladesh! Please introduce in full the National Day of the country. 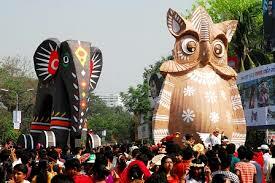 Answer: The Independence Day of Bangladesh, taking place on 26 March, is a national holiday. It commemorates the country's declaration of independence from Pakistan in the late hours of 25 March 1971. Bangbandhu Sheikh Mujibur Rahman declared the independence of Bangladesh during the early hours of 26 March 1971 and the struggle officially began. The people of then Bangladesh took part in this war to be a separate nation independent from Pakistan. Independence for Bangladesh was gained through a nine-month war against the Pakistan Army, resulted in the death of about 3 million people in the Bangladesh Liberation war and Bangladesh Genocide. The final victory was achieved on 16 December 1971. Celebrations of Independence Day is commonly associated with parades, political speeches, fairs, concerts, ceremonies and various other public and private events celebrating the history and traditions of Bangladesh. TV and radio stations broadcast special programs and patriotic songs in honor of the Independence Day. Generally, a thirty-one gun salute is conducted in the morning. The main streets are decorated with national flags. Different political parties and socioeconomic organizations undertake programs to mark the day in a befitting manner, including paying respects at Jatiyo Smriti Soudho, the national memorial, at Savar near Dhaka. 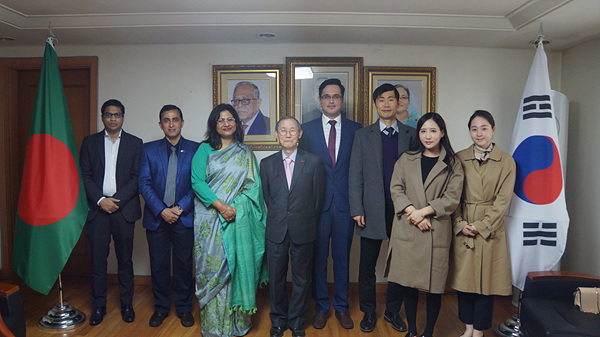 Ambassador Islam of Bangladesh and Publisher-Chairman Lee Kyung-sik of The Korea Post media (third and fourth from left, respectively) pose with First Secretary Ruhuml Amin And Commercial Counsellor Mohammad Masud Rana Chowdhury (left and second from left), Copy-Editor M.F. Oztarsu of The Korea Post media, Business Editor Im Dong-hun and Reporters Son Da-som and Shin Jin-seon (fifth to eighth from left). Q: Please introduce the Head of Government of Bangladesh in full, including her family and hobbies. A: Our Hon’ble Prime Minister is the daughter of our Father of the Nation Bangabandhu Sheikh Mujibur Rahman. Her political career spanned over four decades and she has been leading Bangladesh Awami League since 1981. She served as the Leader of the Opposition (1986-1990/ 1991-1995) and as the Prime Minister from 1996-2001. Now she is in her third consecutive term in the office since January 2009. She is the only Prime Minister in Bangladesh who leads the country as Prime Minster for fourth term. Bangladesh’s Prime Minister Sheikh Hasina, serves as a role model for women in the subcontinent. Sheikh Hasina has long recognized that the future of her nation depends in large measure on the empowerment of women. She was awarded the ‘Planet 50-50 Award and ‘Agent of Change Award’ in September 2016 by the UN for outstanding achievement in women empowerment. Hon’ble Prime Minister Sheikh Hasina was awarded the Global Women’s Leadership Award in the Global Women’s Summit-2018. Through her philosophy for “digital Bangladesh” and “Vision 2021”, Bangladesh aspires to be a middle income country by 2021 and a developed country by 2041. Q: Please introduce the Government Minister in charge of economic cooperation and trade with Korea and other countries of the world. A: Since 07 January, 2019 Mr. AHM Mustafa Kamal, FCA is acting as the Finance Minister of Bangladesh. The Finance Minister of Bangladesh heads the Ministry of Finance of the Government of Bangladesh. It is one of the most important positions in the Cabinet and the Finance Minister must deal with all the other departments and plays an important role in deciding the funding levels for each. The Finance Minister is responsible each year for presenting the government's budget. Mr. Tipu Munshi, MP a Veteran Freedom Fighter is in charge of Minister for Commerce Ministry was born on 25 August, 1950 in Gopalganj in a reputed Muslim family. As an establish business man Mr. Tipu Munshi served as chairman of BGMEA from 2005 to 2006. Presently he is serving as chairman of the joint forum of the Garment’s Owners. He is involved in different social and cultural activities and has established many philanthropic organizations. Q: Who are the Korean companies actively contributing to the economic cooperation between the two countries, especially the up-and-coming small-medium ones? A: Quite a handful companies are doing business with Bangladesh and they are: Youngone Corporation, Dada Corporation, D.H. Euro Hi-Tech Co., Ltd, ShinWon Corporation, Changdae Apparel Co. Ltd., K-Water (Korea Water Resources Corporation), Samsung Climate Control Co., Ltd., LS Cable & System, Posco Daewoo, Samwhan Corporation, Hyundai Group, GS Engineering and Construction, Korea Maritime Consultants Co. Ltd., Sarjin Tech. Co. Ltd., KT, SK Gas, Handock Cosmetics Co. Ltd.
A: Bangladesh-South Korea bilateral trade reached $1.5 billion in 2017-18. From a meagre $22.86 million in 2005, exports to South Korea were worth $254.84 million in 2017-18. Imports also increased considerably by the same period. In the year 2018-19 from July – December exports to South Korea stand at 196.93 million USD. The target for Bangladesh export to Korea is set to USD 270.00 million in 2018-2019. 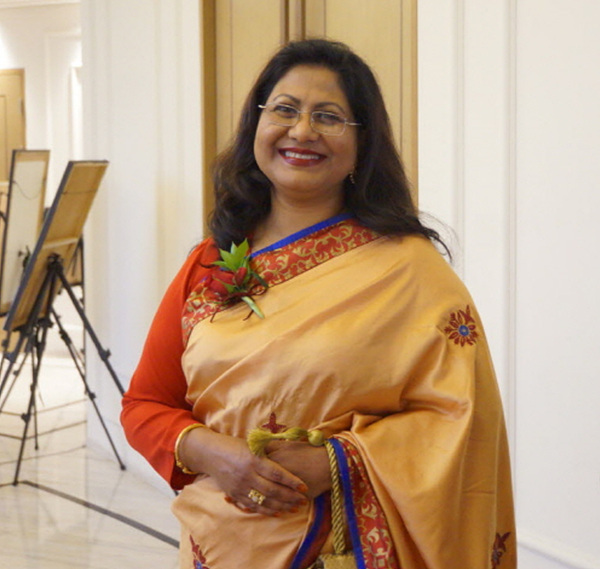 Ambassador Abida Islam of Bangladesh in beautiful traditional costume of Bangladesh. A: The ROK is one of the largest foreign investors in the Export Processing Zones (EPZs) in Bangladesh. It is the pioneer country to invest in RMG sector in Bangladesh in the 70s and it was followed by the investment of almost USD $1 billion in the late 90s. The ROK was the first country to establish a private Export Processing Zone in Chittagong, Bangladesh. The ROK has substantial investment in textiles, tanning and shoe factories employing over 80,000 Bangladeshi workers in Chittagong and Dhaka. The ROK’s leading conglomerate SK Group has invested in a joint venture with TK Group of Bangladesh for setting up a petrochemical refinery, Liquefied Petroleum Gas (LPG) terminal and a power plant in Maheshkhali Economic Zone in Cox's Bazar. Korean Tech giant Samsung and LG are going to manufacture its products in Bangladesh under a joint venture company within a short time which may reduce the trade deficit between our two countries. Bangladesh is offering hundreds of acres of lands to the South Korean investors for setting up an Exclusive South Korean EPZ in Mireshwarai, Chittagong or Moheshkhali, Cox’s Bazar. Some Korean companies have expressed interest to invest in Export Procession Zones (EPZ) in Bangladesh, while many other companies have expressed their interest in investing in the country. It will indeed increase communication between the business houses of our two countries. I am planning to hold a seminar this year to update them about the favorable trade and investment scenario of Bangladesh. In the Mission we have just opened a Commercial Wing and we remain ready to respond to any queries of the potential investors and businessmen from South Korea. More than 200 Korean businesses invested in garment and other businesses. Since Bangladesh government is presently implementing setting up of 100 Special Economic Zones in Bangladesh, Korean investors set up production units in the SEZs, they will get all the facilities from the government and at the same time they will get duty free market access of their products in the global market under the WTO rules. Korean Investors may come forward to invest in sectors like: Telecommunication, Jute and leather, Active Pharmaceuticals Ingredients (API) companies, Fashion industry of RMG, Mid-sized Shipbuilding, Institutional capacity building like skill development and training, ICT, Energy, Infrastructure, and Light engineering.